If you are looking for a moving House Company in Oldham then you have come to the right place. We have been servicing customers in Oldham and the surrounding regions for over 15 years and pride ourselves on an excellent reputation and service we have earned during this period. When moving your home or office it is important to choose a dependable trusted removal company that will take the stress out of packing and moving such as Littleborough Removals. 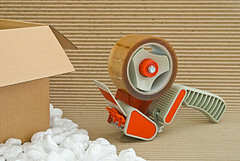 We offer a comprehensive friendly and helpful domestic, office and commercial removal service. We are a family run and owned business that will provide you with well experienced, honest and friendly staff that is exceptionally hard working. In Oldham, a moving house company is happy to help no matter whether you are moving to the next street or across the country. We are both a moving and storage company that will provide you with high quality transportation services across the UK. Our team of professionals work together to provide solutions that meet our customer’s requirements with a level of quality service that will exceed their expectations. Our services include packing, loading, transportation and storage for all household goods. We have the manpower, equipment and expertise to handle all your moving requirements from one item to a complete household. We provide out-of-hour and overnight services as well as full storage facilities. Littleborough Removals a reputable, reliable moving house company in Oldham can supply you with crates, cartons, bubble wrap, tissue, tape and any moving materials that you may require to make your move as safe and easy as possible. When moving your belongings our qualified team will provide you with a caring personal service second to none. Our company provides fixed rates, full insurance, disposal of unwanted goods and no waiting charge for both local and long distance removals. Many people find moving an extremely stressful event, however you can count on our company to take the stress out of moving. Contact Littleborough Removals for a reputable moving house company. This entry was posted in Moving Companies and tagged Moving House Company in Oldham, Oldham Moving House Company. Bookmark the permalink.